Third country nationals (i.e., those persons from outside the EEA) intending to travel to the UK must have valid passports or identity cards. And they must be valid for the entire length of their intended stay. As regards the EU, we are all – whether we like it or not – EU citizens. That guarantees freedom of movement as a treaty right, so we can enter EU (and EEA) states with a minimum of formalities. But, from Brexit onwards, we ourselves become third country nationals in respect of the EEA member states. We will no longer have a right of entry. In leaving the EU, though, we drop out of something else, the nature of which is rarely discussed, mainly because it is so much of the fabric of our membership that it has been lost in the mists of time. The thing we lose is our membership of the Passport Union agreed at the European Council of December 1974 - shortly after we had joined the EEC. This was implemented by the non-binding Council Resolution of 23 June 1981 and updated by the Council Resolution of 10 July 1995 which establish a uniform format for the passports of Member States. When we drop out of the EU, therefore, it isn't just the Customs Union that goes. It is also the Passport Union. We become citizens of a "third country", reliant now on so-called Paris Conference on Passports and Customs Controls for the basis of document recognition. But, while that establishes uniform standards for international passports, it does not remove from individual states the right to set their own conditions for which documents they recognise. 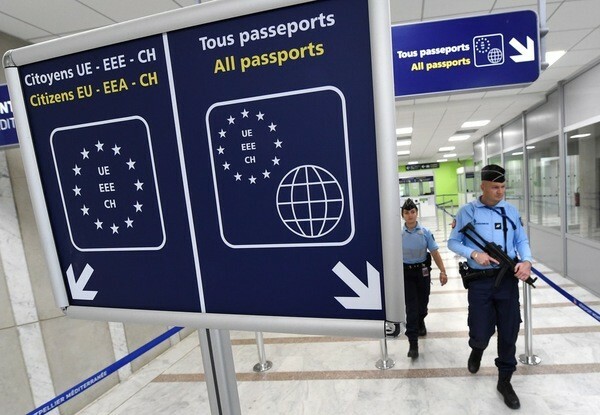 In EU terms, to facilitate the entry of third country citizens to the EU, the passport issuing countries must appear on a permitted list, currently established by Decision No 1105/2011/EU, with a list of the recognised documents in respect of each country. Details can be accessed through a dedicated Council Website. An example of the actual list here, with the Schengen list here. The list is routinely updated by a Commission Implementing decision. For a person from a third country to be able to enter the European Union without complications, the country that issued their travel documents must appear on this list. As Decision 1105/2011 helpfully states, "a Member State's failure to notify its position with regard to a travel document may cause problems to holders of that travel document". The list itself records the individual permissions from the Member States and documents that are recognised – with the relevant conditions. If a country is not on this list, there is no validated evidence that any entry documents are valid – hence the likelihood of there being "problems". Currently, the UK is not on that list. It cannot be because it is not a "third country". As long as it is in the EU, it is covered by a similar list available for download from the Council website which identifies EU Member States (and the Efta Members, which include Switzerland). But, from midnight of the 29 March 2019, the UK no longer qualifies to be on that list. Whether the "third country" list will be updated immediately I simply do not know. But, since the list comprises the summation of the decisions made by the individual Member States as to what they will and will not accept, each state will have to make its own decisions and convey them to the Commission. The Commission will have to amend the list, showing the UK as a third country, with all the relevant details. What this all boils down to is that, from the 30 March 2019, the UK will for the purposes of issuing travel documents become a new state. This will require formal decisions from each of the EEA states as to which UK documents they will accept as being valid travel documents. But it doesn't stop there. Since we have lost freedom of movement, there is also the question of whether the states will require visas, and under what conditions – which again must be notified to the Commission. What is very clear from all this is that document recognition is not automatic, and that is further complicated by the fact that an online database containing specimens of all valid travel documents must be maintained "to facilitate the examination of a given travel document by border control authorities and consular staff". Obviously, if specimens have not been lodged, holders of the travel documents for which specimens are missing may also have problems. There are, of course, few recent instances where an entirely new country comes into being but for the UK becoming newly independent of the EU, that is the administrative effect of leaving. Sorting out travel documents and their recognition by other countries is one of those administrative details that must quickly be resolved. We also need to look at transitional arrangements, where existing passports continue to be recognised. Clearly, this must be the preferred option for the UK. We do not want a situation where a new-style UK passport has to come into force on 30 March 2019 and every passport holder has to obtain a new passport before they can travel to an EEA state. Also, we do not want a situation where, on day one, the formalities have not been completed. This could lead, as a worst case scenario, to UK passport-holders being refused entry to all EEA states until the situation has been regularised. No doubt, the administrative requirements will be discussed by our Brexit negotiators with their counterparts in Brussels. Then the governments of each of the individual Member States can be contacted to ensure that the relevant decisions are made, the Commission list is updated in good time and UK documents (new and old) continue to be recognised. There is, however, room for concern. Talks related to freedom of movement are still stalled over expats and their civil rights. So far, recognition of travel documents has not even been tabled, far less discussed and agreed. Nor can we assume that talks will necessarily be smooth, or that their rapid conclusion can be guaranteed. Within the range of documents that can be issued are refugee travel documents, repatriation certificates and certificates of return – any of which may relate to the movement of asylum seekers (past and present). That EU Member States might demand elements of conditionality in return for free access to UK passport holders cannot be ruled out. Furthermore, we cannot assume that all the relevant issues will be raised and resolved in good time. The possibility of the UK walking away from the talks continues to be raised and has not officially been ruled out. With Mrs May shortly on her way to Florence, no-one is currently willing to state what she is going to say. We have to live with the prospect that a "no deal" scenario is still on the cards. It would appear that if the UK does walk away from the talks without a deal, for purely administrative reasons none of our passports will be valid for the EEA on Brexit day and for some time thereafter. Furthermore, since similar administrative issues might arise with other countries – not least the United States – we could find ourselves excluded from other countries for an indefinite period. Fortunately, every cloud has a silver lining. In that event, we will not have to worry about international flights from the UK being grounded, since none of us will have passports that will permit us to travel. We may even stop worrying about flying to distant places and learn to love Skype conference calls.